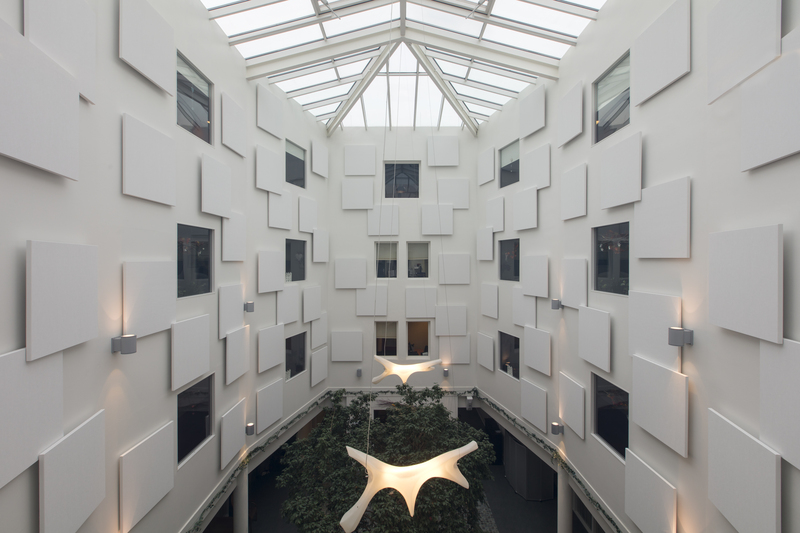 Building on the proven sound-absorbing performance and design-forward aesthetics of its stone wool panels for ceilings, Rockfon announces an innovative, new application option: Rockfon® Island™ Wall System. 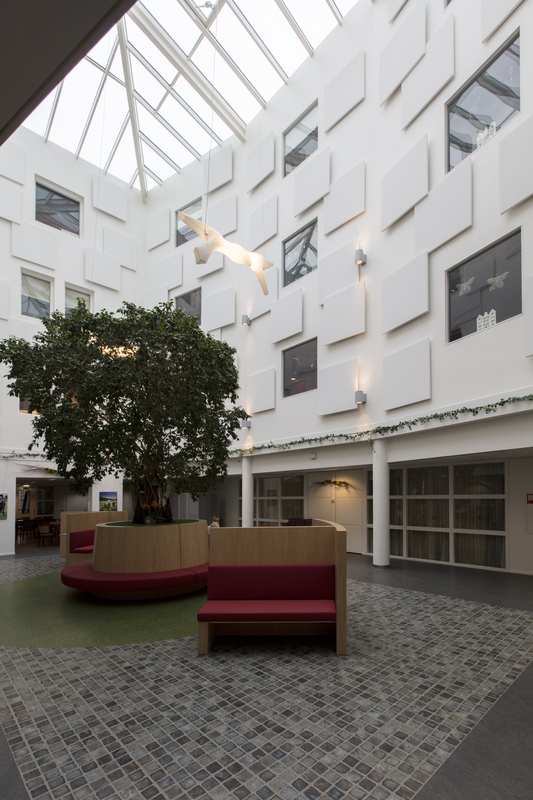 Ideal for open-plan offices, lobbies, atriums, reception areas, banquet halls and other spacious areas, the Rockfon Island Wall System is well suited for both new construction and renovation projects in need of acoustic improvement. These wall panel products are tested to achieve a Noise Reduction Coefficient as high as 1.15 with a 2-9/16-inch air space. 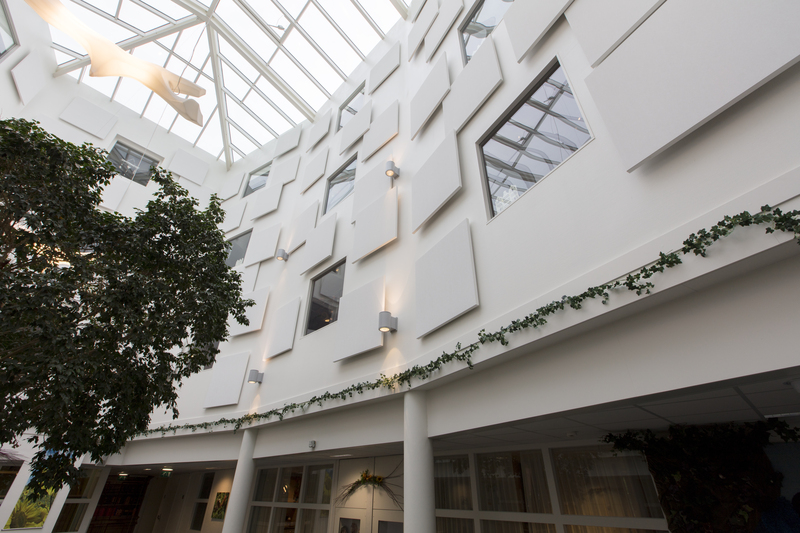 The stone wool panels' smooth, white surface also provides high light reflectance (0.86 LR) and light diffusion. Helping design professionals realize their vision for effective, attractive interiors, the Rockfon Island Wall System may be installed at various angles and distances from the wall to produce one-of-a-kind patterns for each room. 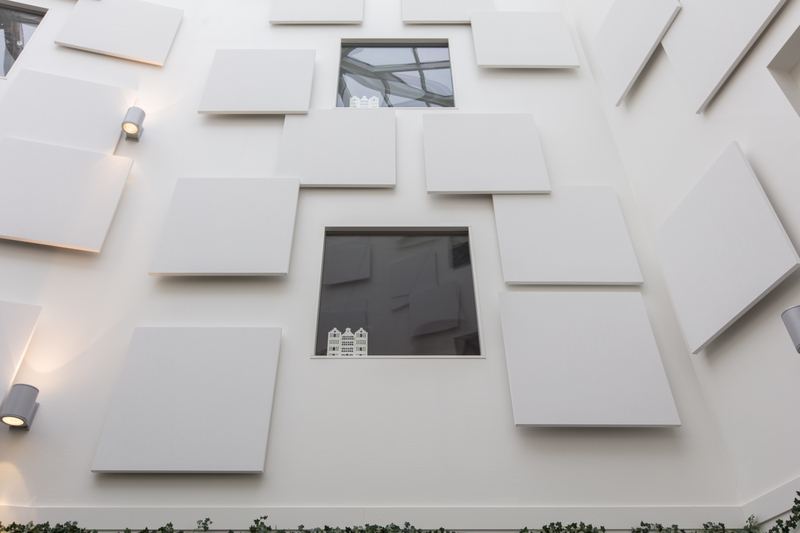 The system's frameless, acoustic, stone wool wall panels are offered in both square and rectangular sizes – 4 by 4 feet, 4 by 6 feet and 4 by 8 feet. For a quick, accurate installation, the Island Wall System Kit with specialized mounting brackets helps secure the different size panels at various distances. A step-by-step photo-based installation guide and instructional video further simplifies the process. As with all of Rockfon's stone wool products, the system's wall panels also are 50 to 75 percent lighter weight than other panels for easier installation. Manufactured with stone wool, Rockfon products inherently resist water, moisture, humidity, fire, as well as mold and other harmful microorganisms. Contributing to buildings' wellness and sustainability goals, the Rockfon Island Wall System contains up to 41 percent recycled content and have earned UL® Environment's GREENGUARD Gold Certification for low-emitting products. These environmental attributes are recognized by such programs as the U.S. Green Building Council's LEED® Rating System and the Collaborative for High Performance Schools' Criteria (CHPS). Facility and property managers also will appreciate the wall system's minimal maintenance and long-term durability. Rockfon Island wall panels are cleaned by lightly vacuuming them and are supported with a 30-year limited system warranty. At the end of their useful product life, they are fully recyclable. To learn more about the Rockfon Island Wall System, please visit www.rockfon.com, email cs@rockfon.com or call 800-323-7164.